Five people were left injured this morning when two bakkies collided head-on on the Pelindaba Road near Hartebeespoort. 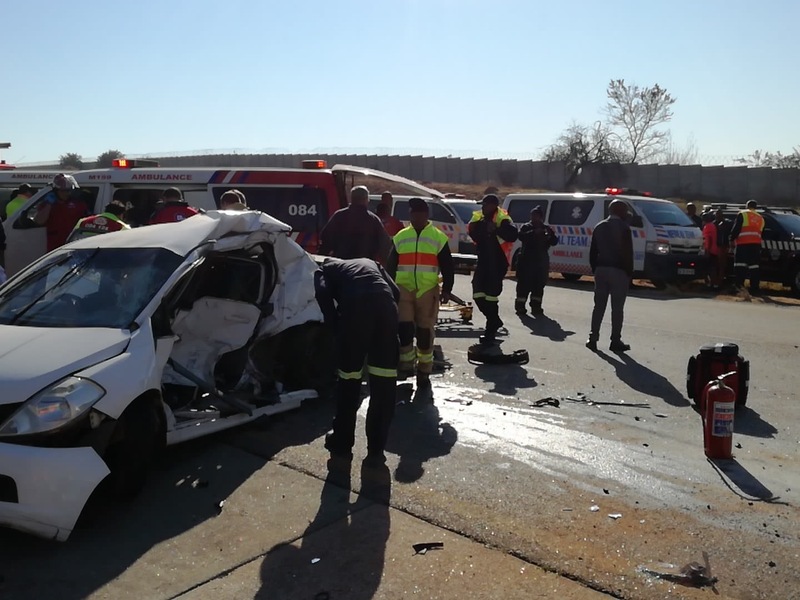 ER24 Paramedics were called to the scene by the Provincial Services, arriving at 10h20. On scene, paramedics found the Provincial Services busy assessing the patients. condition. Three other patients were assessed and found to have sustained only minor injuries. Fire Services had to use specialized rescue equipment to extricate both entrapped men. Once freed, paramedics treated the patients and provided the two seriously injured men with pain-relief medication before they were transported to a nearby provincial hospital.